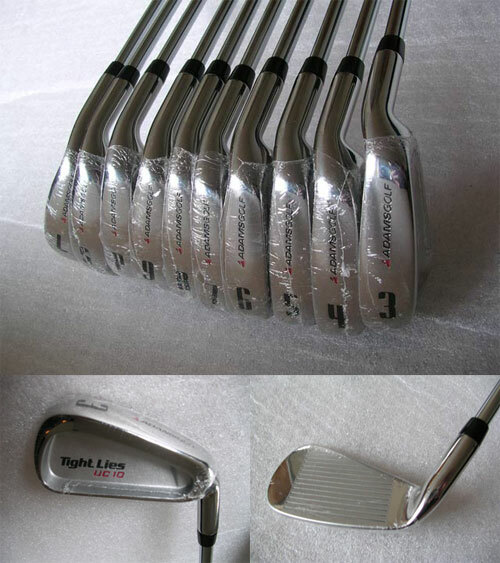 Adams Golf UC-10 iron set includes O-sized irons with an undercut cavity design, progressive offset, and a high MOI(Moment of Inertia) for maximum forgiveness. With a progressive offset and an inviting oversized head, the UC-10 provide maximum help on mis-hits. Set wordt geleverd met 2 extra ijzers:Sand- en LobWedge!